How can you turn your dreams into reality? How do you respond when bad things happen in your life? What are key elements to keeping a family together? What does it mean to act wisely? How do you influence your “battlespace”? Now You Know is chock-full of advice on these and many other topics pertinent to our daily lives. 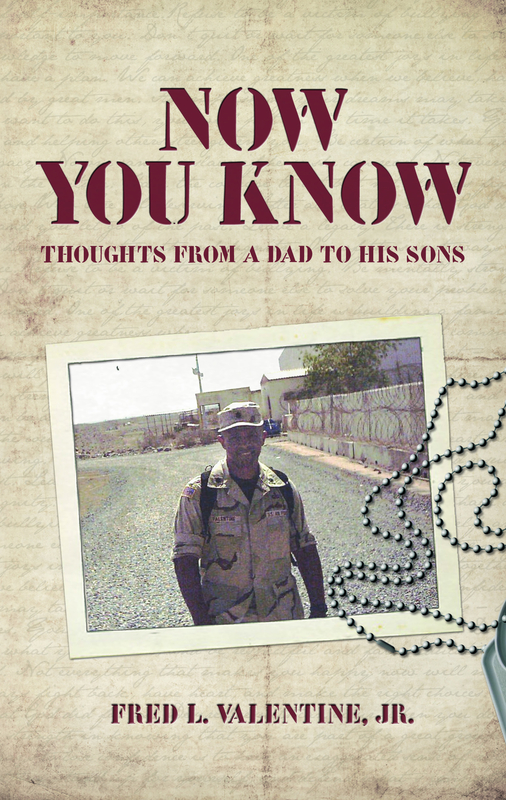 Author Fred “Val” Valentine is not a professional writer, but is a typical father who, while deployed in the military, took time to capture some thoughts on his life for his sons. He felt it was important to let them know what his challenges were in life and to give pointers, based on his experience, on the best way to move forward in a life filled with challenges and obstacles. The result is this book. Val invites you to take this journey through his story. Each succinct chapter provides sound advice that will help you achieve success on the battlefield of life. Now You Know is a battle plan for success.